On the other hand, flow meters measure volume indirectly. They use natural laws and flow principals, in order to determine the effect of the incoming gas. Turbine meters are the most common flow meters. Diaphragm meters have four measurement chambers. Two by two, the measurement chambers form a section which is separated by using a deformable wall, the diaphragm. Both diaphragms are connected to each other and they lead, via a rotating piston, to the counter. 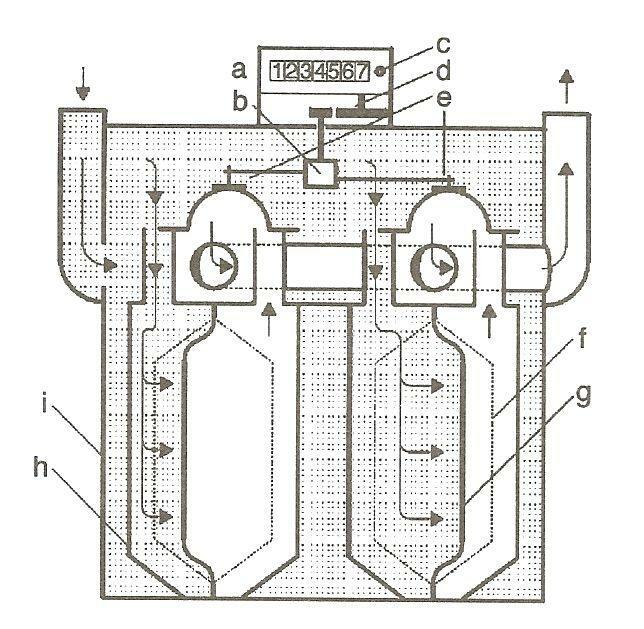 By knowing beforehand the volume of each chamber, we can measure directly the gas volume that passes through the diaphragm meter.The main reasons for the increase of the measurement error of diaphragm meters are the leakage both at the moving parts and at the diaphragm leakage. This leakage usually influences the low flow range and results in a lower reading. Diaphragm meters are mainly installed in domestic applications because they have especially large rangeability (Qmax/Qmin = 160). Diaphragm meters, can be equipped with pulse generators in order to transmit the meter’s reading. positioned to the rotating axis, is formed in such a way, that the gap between the impellers and the housing is very small, regardless of the impellers’ position. The impellers are placed in such a way, that they don’t touch each other during the rotation. The gas volume can be measured directly since the volume of each measurement chamber is well known.Rotary displacement meters can also achieve high rangeabilities like Qmax/Qmin = 250, but the small gaps lead to high sensitivity to dust particles. In order to avoid the damage on the impellers, since they are manufactured from light metals, special care must be given to proper installation and precautions to be taken, such as filters placed upstream of the meters. 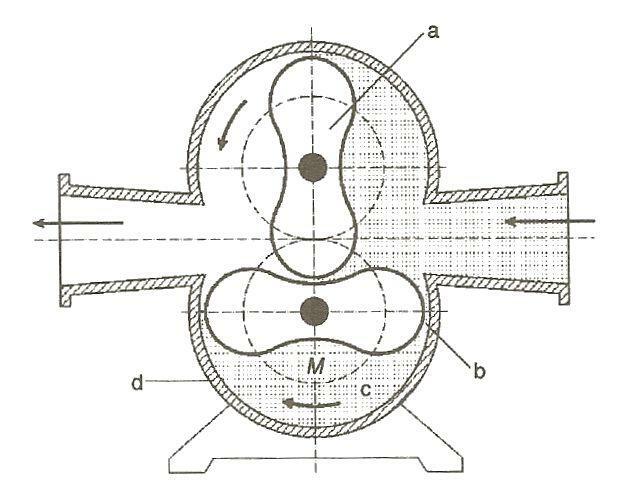 The error curve of a rotary displacement meter is determined by the losses between the impellers as well as between the impellers and the housing. During the measurement of the gas volume, the gas runs through the meter permanently. This results in pulsation, which through inappropriate pipeline arrangement, can lead to peaks and cause significant measurement errors. 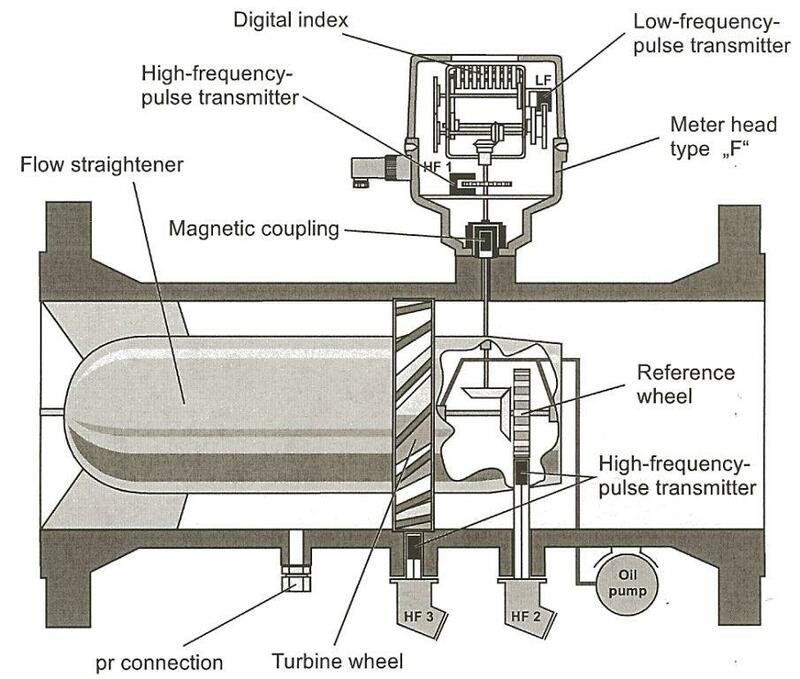 In order to avoid the influence of the error curve due to pulsations during the calibration, silencers are often used as well as appropriate piping upstream of the meter. Turbine meters consist of a sealed housing, an extrusion section, the turbine wheel and a gearwheel system, which leads the meter’s index. During gas flow, the turbine wheel rotates. The turbine meter is manufactured in such way that the turbine wheel’s rotation frequency is proportionate to the flow velocity. 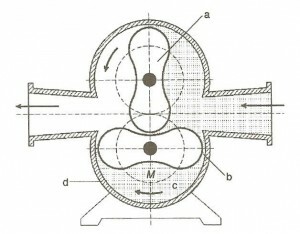 In this way, the gas volume is calculated based on the rotation of the turbine wheel. Deviations to the error curve are mainly caused from mechanical losses due to friction at the bearings and the gearwheel system.Turbine meters are usually installed in applications where large gas quantities must be measured, in medium and high pressure stations. These meters feature one or more pulse generators which may provide high or low frequency pulses. Turbine meters, as well as other flow meters, are sensitive to disturbed upstream flow profile. 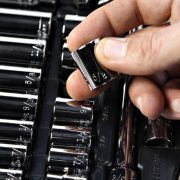 Nowadays, that all the physical quantities’ measurements are part of the production process as well as the billing process, it is very important to be precise and reliable. 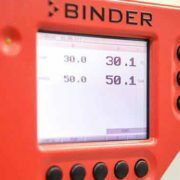 The calibration conditions must be equivalent to the gas meter’s installation conditions. 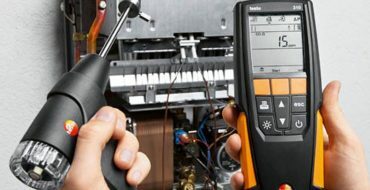 It is recommended that the gas meters should be calibrated under conditions as close as possible to the ones during the meter’s actual operation. Special attention must be given to the calibration medium (natural gas or atmospheric air), the pressure, the temperature and the upstream and downstream piping. If possible, the required adjustments must be performed in order to have a predictable and reliable operation of the gas meter. All gas meters require periodic calibration even though some commercial literature claims the opposite. Non-regularly calibrated gas meters, may produce significant errors. 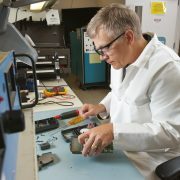 Calibration must be performed by accredited and traceable laboratories. 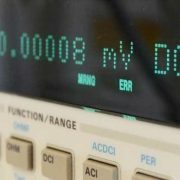 The reliability of the measurement results and the calibration certificates. The appropriate environmental conditions and laboratory facilities, during the calibration. The accuracy of the reference equipment used for the calibration. The validity of the calibration procedures and the measurement uncertainties calculation. The measurements’ traceability to national standards. The laboratory’s participation in Interlaboratory Comparisons. The Best Measurement Capabilities, which are the lowest measurement uncertainties that the laboratory can achieve within its scope of accreditation. The gas meter’s calibration must be valid during its period of operation. How often do we calibrate a gas meter? This is a question that often arises. The answer to this question is not easy. All gas meters must be regularly calibrated, regardless of their type, size, construction or age. But how often? Time has significant influence on the gas meter’s performance. As time passes, gas meters tend to drift due to gradual and sometimes imperceptible environmental effects. Variations may exist even if there is no obvious damage to their internal parts. This is why recalibration is necessary. 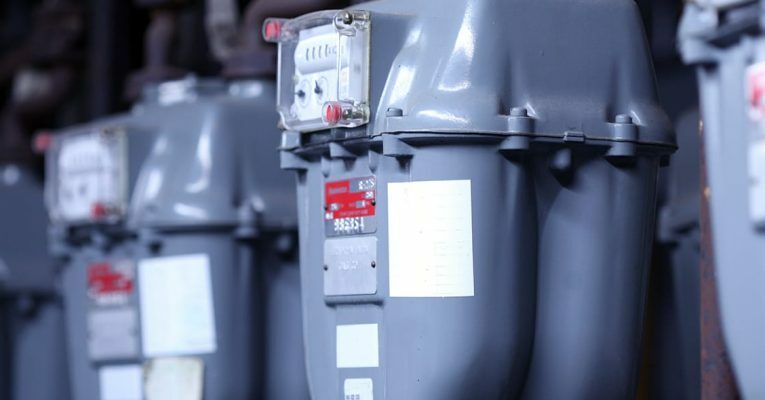 The most common practice is to define a short recalibration period for the new gas meters and the meters used in new applications or environments. Afterwards, as sequential calibrations are performed, the drift between each calibration can be evaluated. Based on these data, the user can decide whether to increase or decrease the recalibration interval. 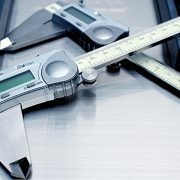 The calibration laboratory can help its customers determine the appropriate calibration intervals. The gas meter’s calibration history can be studied by the laboratory and an evaluation of the drift can be performed, in order to define the suitable recalibration interval. Deposits on internal surfaces. Layers of salt, minerals, oxidation etc. can have measurable affects on a gas meter’s performance, even if it seems to operate correctly. All types of gas meters can be affected, even the ones without moving parts like Coriolis, Vortex, Ultrasonic, etc. Chemical attack, influences gas meters, especially those having moving parts. A change to the geometry of a turbine meter for example, will affect its performance. Abuse (shock, over speeding etc.) even when there is not any obvious damage, can cause variation of the gas meter’s performance characteristics. 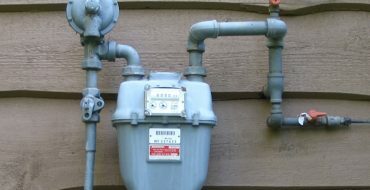 Aging of gas meters causes changes (sometimes even improvements) on their performance. Electrical changes usually occur as a result of aging. Mechanical changes to meter performance due to the bearings usually occur soon after the manufacture of the meters or the bearings replacement and continue with a much slower rate during the lifetime of the gas meter. Fluid property differences are a very important factor. If a gas meter has been calibrated in one type of fluid and used in another, significant differences may be observed. Improper installation is another major factor affecting the differences between the calibration results and the actual operation of the gas meter. External influences affect all types of gas meters. Some meters are affected from vibration, others from temperature or pressure. The conclusion resulting from the aforementioned is that gas meters, depending on their type and their operation conditions, must be calibrated within appropriate time intervals and from a suitable calibration laboratory, in order to provide reliable results. Don’t forget that gas meters are mainly used for billing purposes.